When friends Ricardo, Astra and Jolena invited J and I camping for the weekend, I had no idea how cold it would be. They did say to pack warmly because we were going to the mountains, but my April weather radar is way out of whack. I am still thinking Mildura weather, lovely days in the 20’s, with cool nights, but still easy camping weather. I guess because April brings with it Easter and that is one the busiest time of year for campers in Mildura along the Murray River. In my wildest dreams I would never have believed that I would be seeing snow fall on my tent, but it is the Rockies after all. 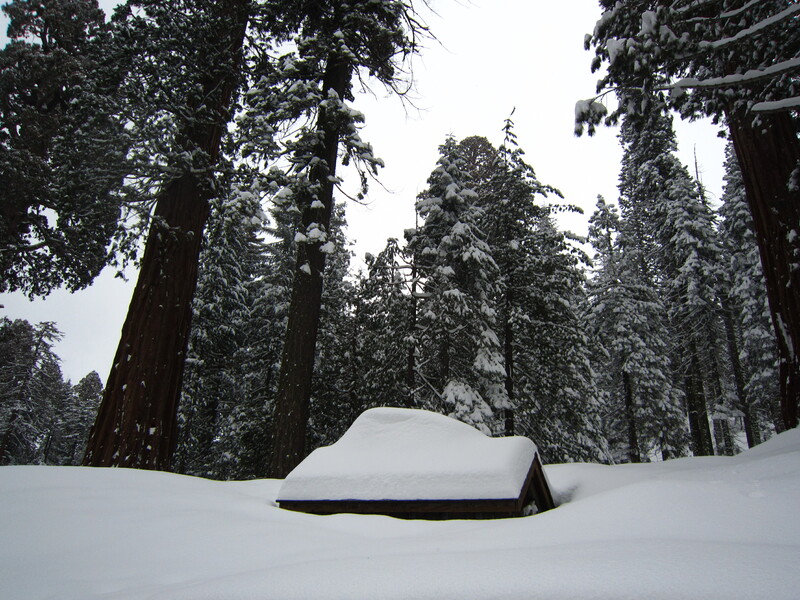 Upon entering Sequoia National Park in California (about 4 hours drive from Los Angeles) we were told by the ranger that the campsite we wanted to go to was for snow camping only and we’d have to camp in the carpark. So we opted for a lower campsite at Buckeye Flat instead. I certainly wasn’t prepared for snow camping and I’m sure my $30 tent I’d picked up at Walmart on the way would agree with me. The campsite at Buckeye Flat was beautiful and we were met by the roar of the rapids on the river below. Being late in the afternoon, we made a fire and set up the tent for J and I as Ricardo, Astra and Jolena were sleeping in their van. As we were sitting around toasting marshmallows and making s’mores, it started snowing. Snowflakes fluttered by the fire and whilst this could be pretty, it was just pretty scary. J and I hooked up the tarp we’d also bought at Walmart as an extra barrier to the snow. After a little bit of patchy snow, it stopped, but I’m glad we used the tarp. 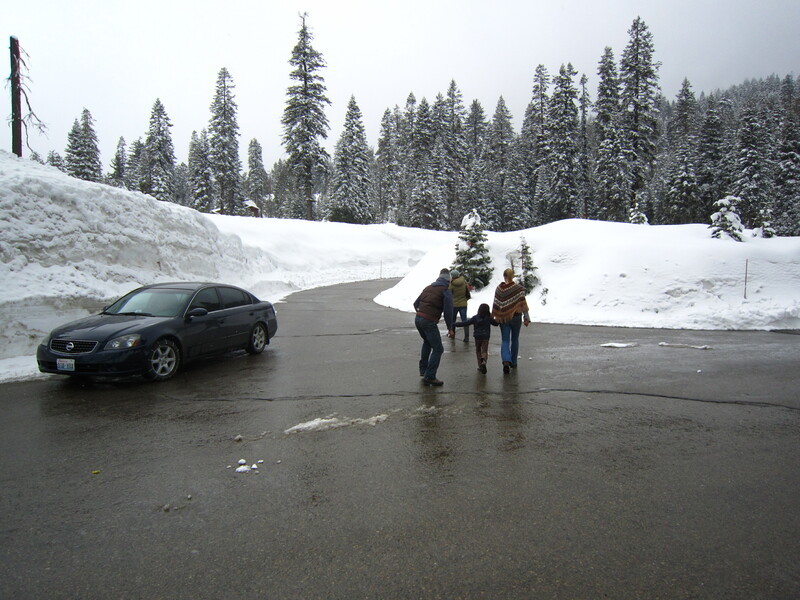 The next day we drove up to the sequoia trees. 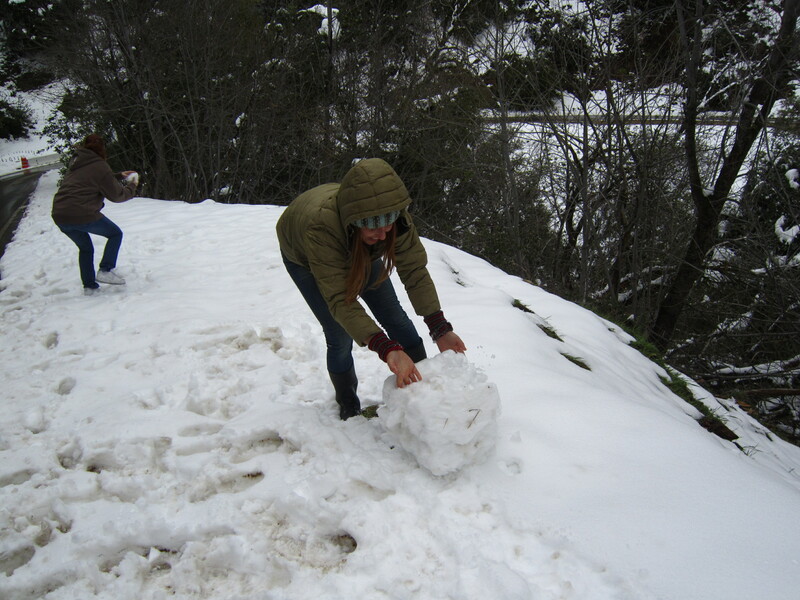 As we climbed higher there were signs about chains for tyres, and we passed snow drifts on the verges. While we were pulled up at a traffic light due to roadworks up ahead, we got out and started having a snowball fight. It was lots of fun and we encouraged those in the car behind us to also get out and have some snowplay. Driving higher, I had my face pressed against the window at the magical snow scenery. It was just like a Christmas card, with the pine forest dusted in white frosting. 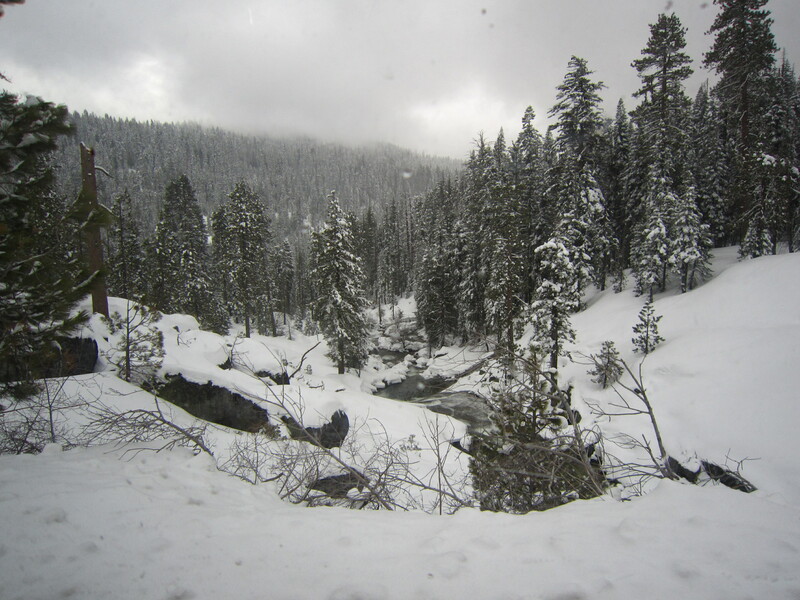 The only thing steering away from this image were the big, rough, red trunks of the sequoias interspersed throughout. I was overwhelmed and lost for words. 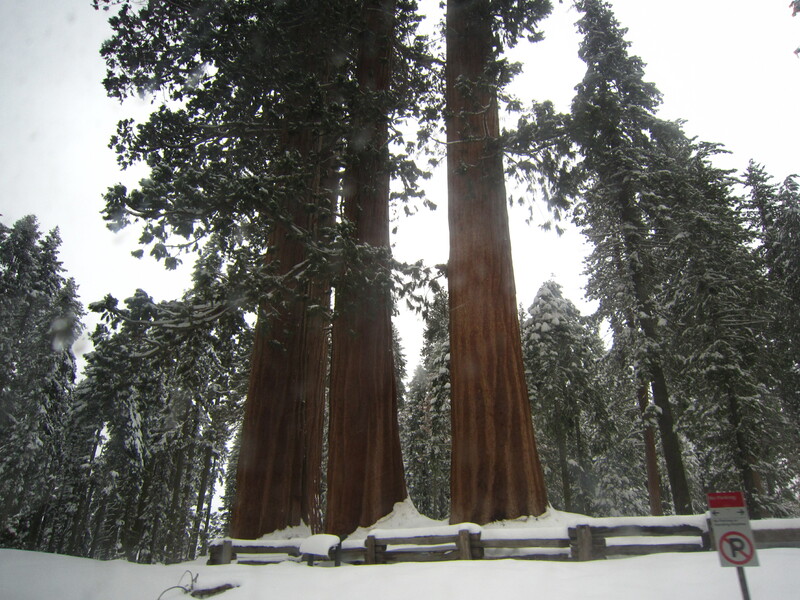 Getting out to admire the 2,200 year old General Sherman Tree, the largest tree in the world when measured by mass, I romped about in the snow, eating mouthfuls of fresh snow, making snowballs and crunching in the winter wonderland. I have never seen so much snow in my life. There was six feet of snow, higher than the car, so it felt like we were driving around in a white walled maze. Buildings had only their roofs showing, and even then they were covered in a blanket of white. 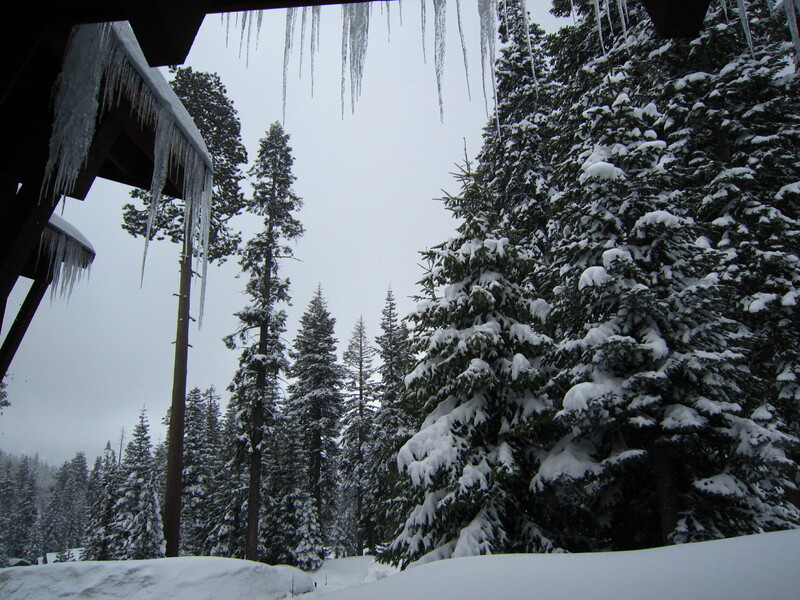 In some places, big icicles jagged across porches. It was all so foreign feeling, yet wondrous and I looked upon the whole scene with amazed, innocent eyes. I don’t think snow will ever cease to amaze me. Unless of course I live somewhere where I have to shovel my driveway every day in winter.